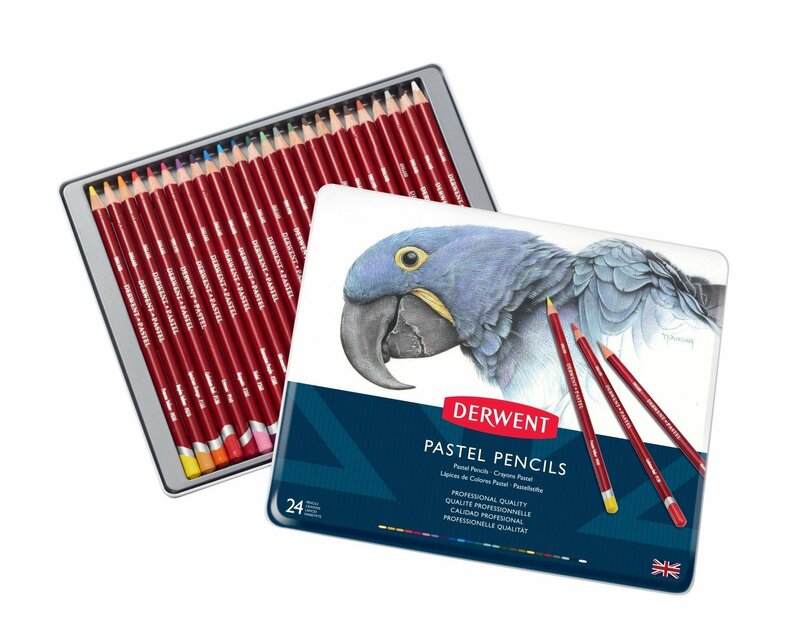 All the beauty of a pastel with the convenience and control of a pencil. The soft powdery texture produces a smooth velvety finish, ideal for blending and colour mixing. Contains Process Yellow, Naples Yellow, Spectrum Orange, Cadmium Red, Crimson, Magenta, Violet, Dixazine Purple, Ultramarine, Cyan, Prussian Blue, Forest Green, Pea Green, Green Oxide, Olive Green.